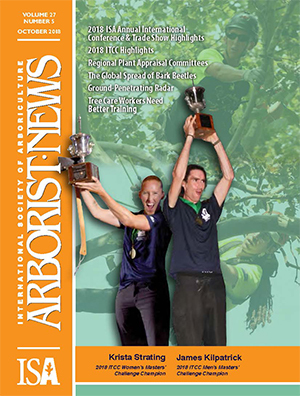 A bimonthly magazine, Arborist News is available in both print and digital formats. This magazine is ISA’s flagship publication, providing readers with the latest in arboricultural news and education. Regular feature articles address the needs of practicing arborists, experienced researchers, and green-industry contributors around the globe. Each issue of Arborist News also features an article that includes a CEU quiz. Online versions of these quizzes are available via the ISA Store. Article submissions may be sent by email to the editor. They may also be submitted by mail to Arborist News Editor, P.O. Box 191, Annapolis Junction, MD 20701, US. 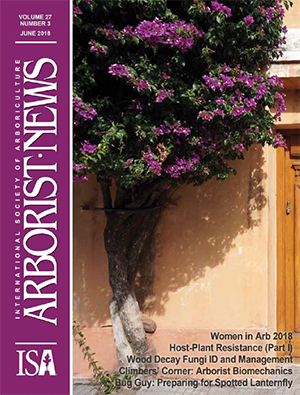 Technical articles submitted for Arborist News consideration should present educational information or knowledge pertaining to the art and science of arboriculture or related fields. Articles must be reviewed and approved by a minimum of two people before being accepted for print. They are sent to reviewers from the Arborist News Editorial Board or other professionals with technical expertise in the subject area. Technical articles are also reviewed by at least one staff member with some knowledge of the subject matter. Articles with controversial content may be subject to review by multiple reviewers. Articles that are not accepted may be returned to the author with suggested revisions or may be rejected outright. If revisions are not extensive and meet the requirements of the reviewers, revised articles may be approved for publishing. If the revisions required are extensive, the revised article must go through the review process again. There is one online CEU quiz per issue available from Arborist News.